Photograph of a blind man reading a book using the Optophone c.1921. Wellcome Library, London. 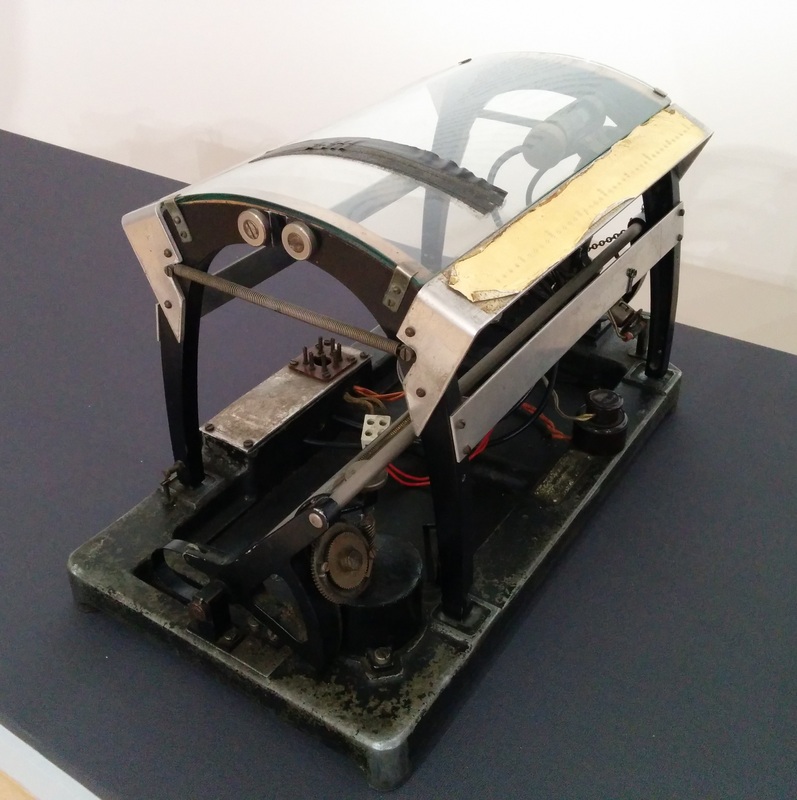 Mechanical reading devices have helped blind people to read ordinary print since before the First World War. The optophone’s light beam scanned the lines of a book placed upside down on a curved glass frame and emitted different tones depending on a letter’s shape. 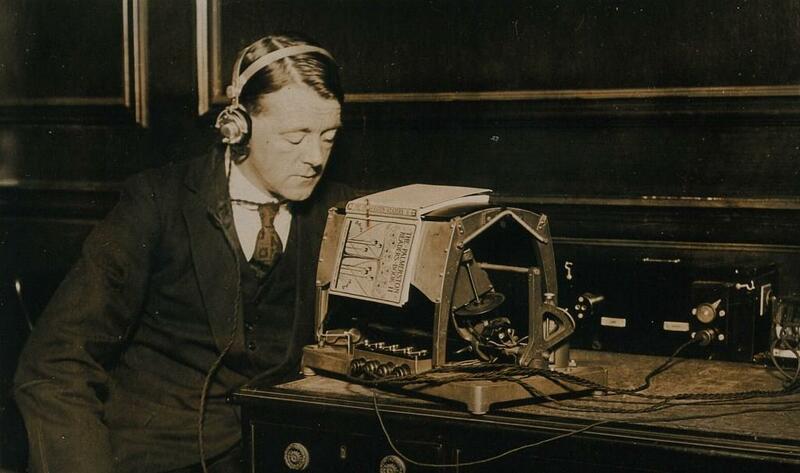 The device was too complicated for most people, however, and little was heard from the optophone after 1924. Optophone held by Blind Veterans UK Collections and Archives. Mary Jameson using the optophone to read Anthony Trollope’s The Warden. Blind Veterans UK Collections and Archives. 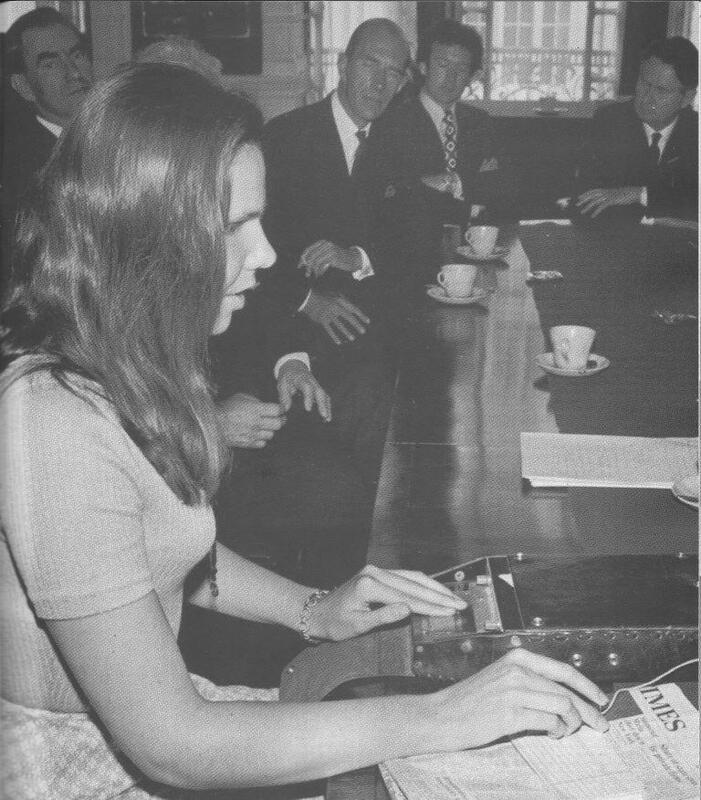 Mary Jameson, who was blind from birth and graduated from Norwood’s Royal Normal College for the Blind, was one of the first people to use the optophone. 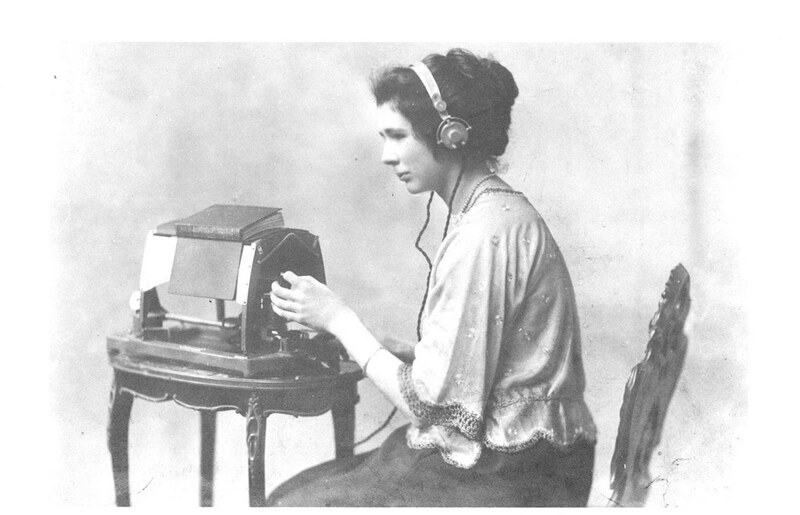 In 1918, she gave public demonstrations during which she read a book’s page at the rate of approximately one word per minute. She was able to read 20-60 words per minute on improved models and became the first blind person to read from an ordinary printed book: Anthony Trollope’s The Warden. Nye’s research is described in the following report held by Haskins Laboratories: An Investigation of Audio Outputs for a Reading Machine (1965). Another device called the Optacon translates print into a vibrating tactile image. Its main unit contains a ‘tactile array’ onto which the user places his or her index finger. The user’s other hand moves a miniature camera across lines of print. A matrix of tiny pins vibrates in the shape of letters beneath the user’s fingertip as the camera scans the page. John Linvill, a Professor of Electrical Engineering at Stanford University, developed the machine for his daughter, who had been blind since the age of three. 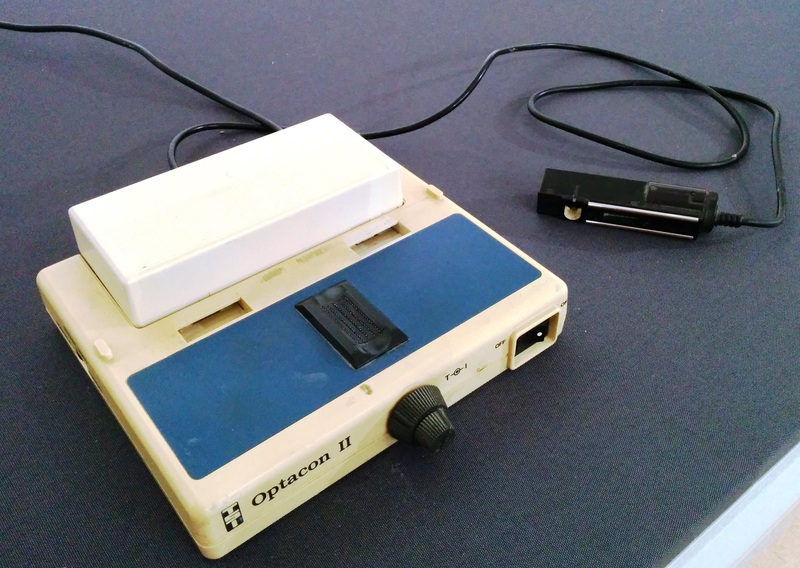 Telesensory Systems Inc. began manufacturing the Optacon in 1971 and made it available for testing at St. Dunstan’s. Private individuals purchased approximately 15,000 Optacons. Although most people now prefer to use page scanners with optical character recognition (OCR), a number of blind people continue to use the Optacon to this day. Optacon belonging to Peter Bosher, one of the first people in the UK trained to use the device in 1976. Photograph of Candy Linville demonstrating the Optacon at St. Dunstan’s. Blind Veterans UK Collections and Archives.